How To Become A Cloud Engineer? AWS vs Azure: What Is The Difference? AWS Resume: How To Make Your Professional Parchment Look Attractive? How To Restore EC2 From Snapshot? How To Develop A Chat Bot Using Amazon Lex? Technology has evolved over time. And with technology, the ways and needs to handle technology have also evolved. Last two decades have seen a great shift in computation and also software development life cycles. 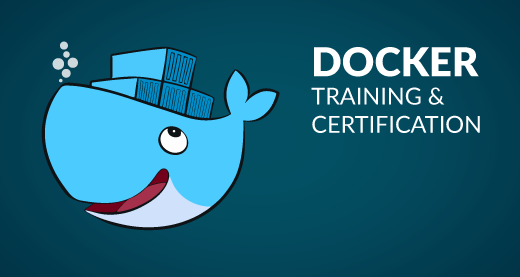 We have seen a huge demand for online DevOps training & AWS certification. Today’s blog focuses on one such approach known as DevOps and AWS DevOps in particular. So let us get started then, shall we? In these fast-paced times, we see more emphasis being laid on faster delivery of software deployment. Because in order to stay competitive in the market the companies are expected to deploy quality software in defined timelines. Hence the roles of software developer and system admin have become very important. A lot of juggling of responsibilities happens between the two teams. Let us take a look at how do these individuals contribute to the deployment process. Let us go ahead and take a look at this process from the operations point of view. Now the operations team or the system administrators team is responsible for maintaining and assuring the up time of the production environment. Now as the company invests time and money in more products and services, the number of servers, admins have to take care of also keep growing. This gives rise to more challenges because the tools that were used to manage the earlier amount of servers may not be sufficient to cater the needs of upcoming and growing number of servers. The operations team also needs to make slight changes to the code so that it fits into the production environment. Hence the need to schedule these deployments accordingly also grows, which leads to time delays. When the code is deployed the operations team is also responsible to handle code changes or minor errors to the code. At times the operation team may feel pressurised and it may seem like developers have pushed their responsibilities to the operations side of the responsibility wall. As you may come to realise that none of the sides can be held culprit. Well, this is what DevOps does, it helps you get software developers and operations in sync to improve productivity. To simply define it with jargon terms. DevOps is the process of integrating Developers and Operations teams in order to improve collaborations and productivity. This is done with automation of workflows and productivity and continuous measurement of application performance. DevOps focuses on automating everything that lets them write small chunks of code that can be tested, monitored and deployed in hours which is different from writing large chunks of codes that takes weeks to deploy. So this was about DevOps. Let us move ahead and understand what is AWS and how it forms a crucial pairing with DevOps to give you AWS DevOps. Fact: Netflix is a popular video streaming service which the whole world uses today, back in 2008 Netflix suffered a major database corruption, and for three days their operations were halted. The problem was scaling up, that is when they realized the need for a highly reliable, horizontally scalable, distributed systems in the cloud. Came in cloud services, and since then their growth has been off the charts. Prediction: Gartner says, By 2020, a Corporate “No-Cloud” Policy Will Be as Rare as a “No-Internet” Policy Today. Interesting, isn’t it? Since every company has started to adopt the cloud services. It can be claimed that cloud is the talk of the town. And AWS, in particular, is the leading cloud service provider in the market. Let us understand more about it. AWS which stands for Amazon Web Services is an ‘Amazon.com‘ subsidiary which offers cloud-computing services at very affordable rates, therefore making its customer base strong from small-scale companies like Pinterest (which has just 5 employees) to big enterprises like D-Link. It is the use of remote servers on the internet to store, manage and process data rather than a local server or personal computer. IaaS gives you a server in the cloud(virtual machine) that you have complete control over. In Iaas, you are responsible for managing everything from the Operating System on up to the application you are running. With PaaS, you have a combination of flexibility and simplicity. Flexible because it can be tailored to the application’s needs. Simple as no need for OS maintenance, versions, patches. A software distribution model in which a third-party provider hosts applications. Instead of installing and maintaining software, you simply access it via the Internet. Automatic updates reduce the burden on in-house IT staff. When we refer to AWS, it is more of an IAAS. In case you wish to know about cloud computing in detail refer this link What Is Cloud Computing? DevOps teams are required to create and release cloud instances and services more frequently than traditional development teams. AWS CloudFormation enables you to do just that.‘Templates’ of AWS resources like EC2 instances, ECS containers, and S3 storage buckets let you set up the entire stack without you having to bring everything together yourself. AWS EC2 speaks for itself. You can run containers inside EC2 instances. Hence you can leverage the AWS Security and management features. Another reason why AWS DevOps is a lethal combo. CodePipeline is one popular feature from AWS which highly simplifies the way you manage your CI/CD tool set. It lets you integrate with tools like GitHub, Jenkins, and CodeDeploy enabling you to visually control the flow of app updates from build to production. AWS frequently creates and adds new instances to their list and the level of customisation with these instances allow you make it easy to use AWS DevOps together. All these reasons make AWS on of the best platforms for DevOps. This pretty much brings us to the end of this AWS DevOps blog. Please let me know in the comments section below, whether you liked the blog or not.